Adrian is a native of Oughterard, Co. Galway. 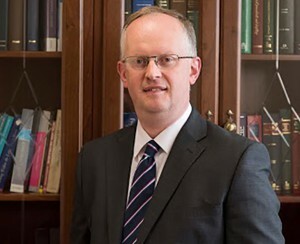 He graduated from National University of Ireland, Galway with Bachelor of Commerce and LL.B Degrees and has over 15 years experience as a practising Solicitor. He specialises in the areas of Conveyancing, Family law (including child care) Landlord and Tenant Law, Employment Law and Probate. He represents clients in the Courts for a range of matters including Road Traffic Acts Prosecutions, Failure to make Tax Returns, Lottery Licence Applications, Licencing Applications, Applications for the Restoration of Driving Licences and various other matters.